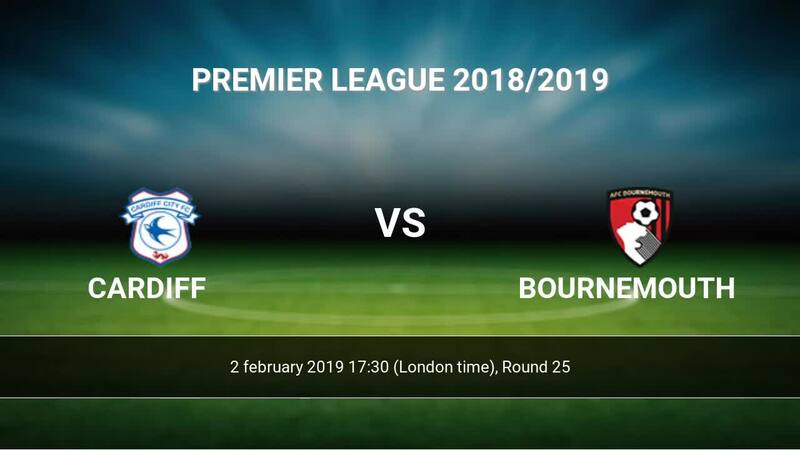 The match Cardiff-Bournemouth Premier League will start today 17:30. Referee in the match will be Jon Moss. Team Cardiff is in the releagtion zone of the table. 18 position. In 5 last matches (league + cup) team gain 4 points. Cardiff did not win the match from 4 games. Leading players Cardiff in Premier League is: Callum Paterson 4 goals, Victor Camarasa 3 goals, Josh Murphy 3 goals. Most assists in the club have: , Victor Camarasa 2 assists. Team Bournemouth is located in the middle of the table. (10 place). Form team looks like this: In the last 5 matches (league + cup) gain 7 points. Bournemouth from 6 matches away can not beat any rival. Bournemouth has not been defeated from 2 matches. 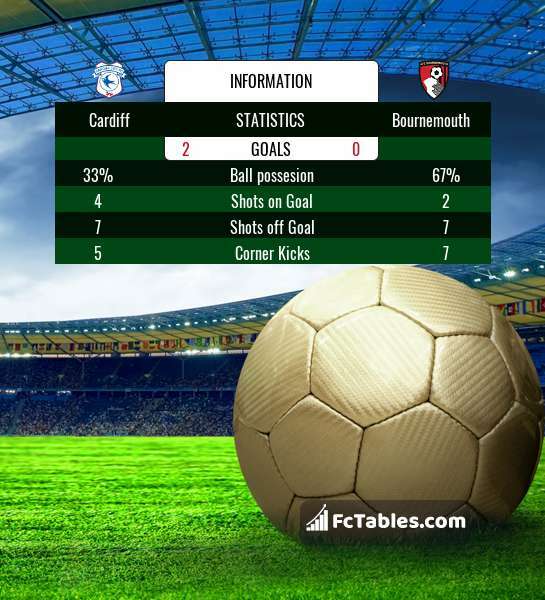 To defend Cardiff the most demanding players will be Callum Wilson 10 goals, Joshua King 8 goals, David Brooks 6 goals, because this season they scored the most goals for Bournemouth of the entire composition. Most goals developed: Callum Wilson 5 assists, Joshua King 3 assists, David Brooks 4 assists. Injuries in the team Bournemouth: Simon Francis, Callum Wilson, Lewis Cook. Direct matches: usually ended with winning of Bournemouth. Balace of both teams games are: 4 won Cardiff, 7 wins Bournemouth, 3 draws. In 11 matches the sum of the goals both teams was greater than 2.5 (Over 2.5). On the other hand, 13 matches teams scored more than 1.5 goals (Over 1.5). In 11 matches the both teams have shot at least one goal.